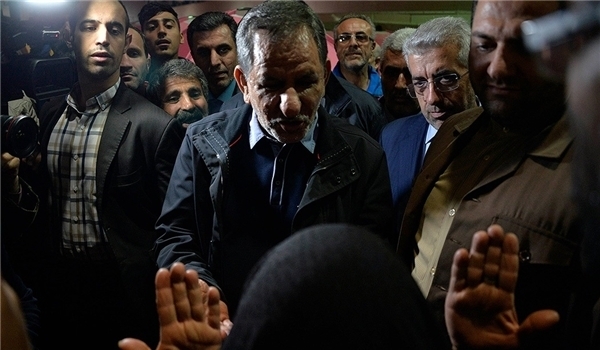 FNA – Iranian First Vice President Eshaq Jahangiri reassured the nation that the government will stand by them in all difficulties, saying that the government will compensate the losses and will solve problems of the flood-stricken people. At least 70 villages in Golestan and more than 200 in Mazandaran are inundated. Aqqala is the worst hit where landslides have killed two people, director general of Golestan province’s crisis management department Mojtaba Jamali said.